So it's finally done. 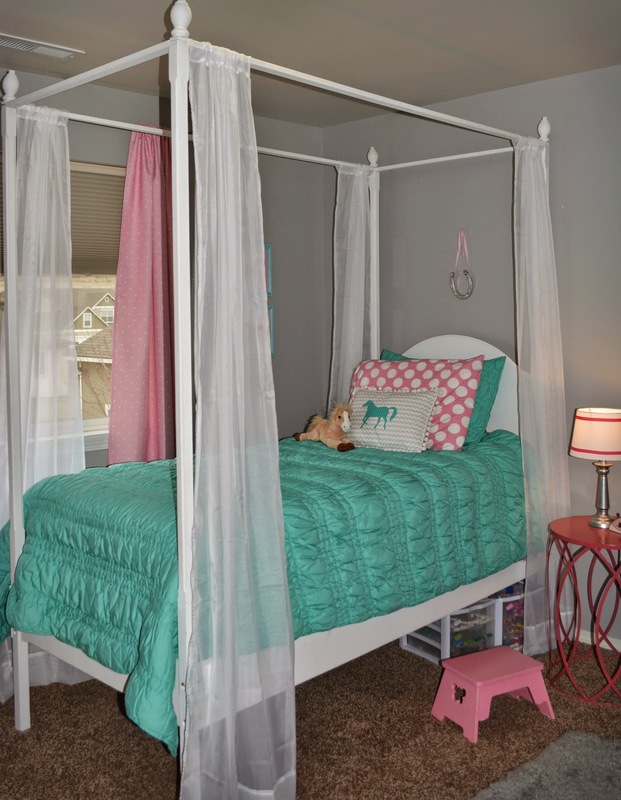 A big girl room for my oldest daughter. For one thing, I can't believe she is old enough for her own room. It seems like just yesterday I was laying her in a crib. The change in bedrooms at our home was a win for everyone. Everyone got an upgrade! 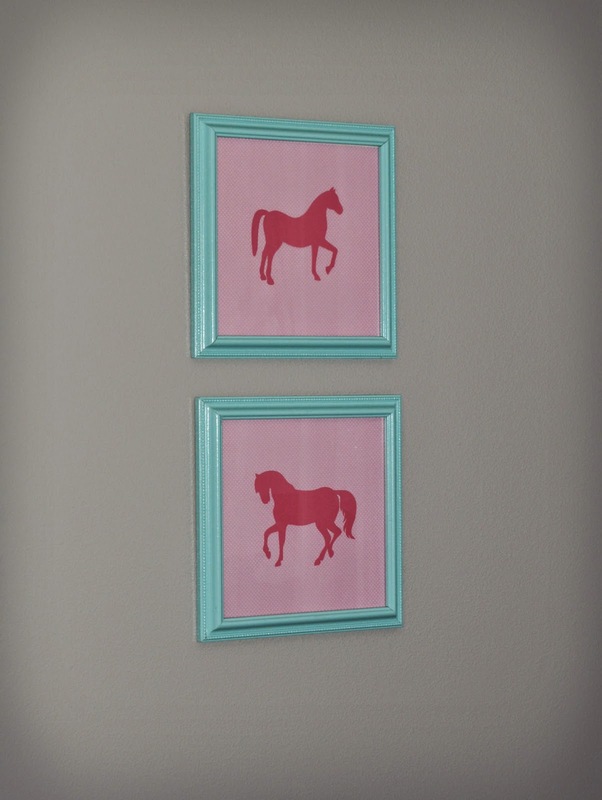 When I asked my daughter what kind of 'big girl' room she wanted, I was totally surprised when she told me she wanted a horse room. I'm still not sure were that came from. But it was the perfect inspiration for this room. This bed is one of a kind. My dad built it for me and I slept in it as a young girl. I love that my daughter has it now. I took it to Bergan's Timeless Treasures in Downtown Kennewick and had it painted for me. I got a great price. I still have three littles at home and I was not about to tackle this project. I have learned my limits the hard way. The bedding was my daughter's Christmas gift this year with the note that we would give her a "big girl" room. I picked the bedding from Pottery Barn Teen and Land of Nod. Great well-made bedding is worth the price. I bought two floor-length white sheers and cut them in half to make to four panels for each bedpost. The white panels turn this into a bed for a princess. 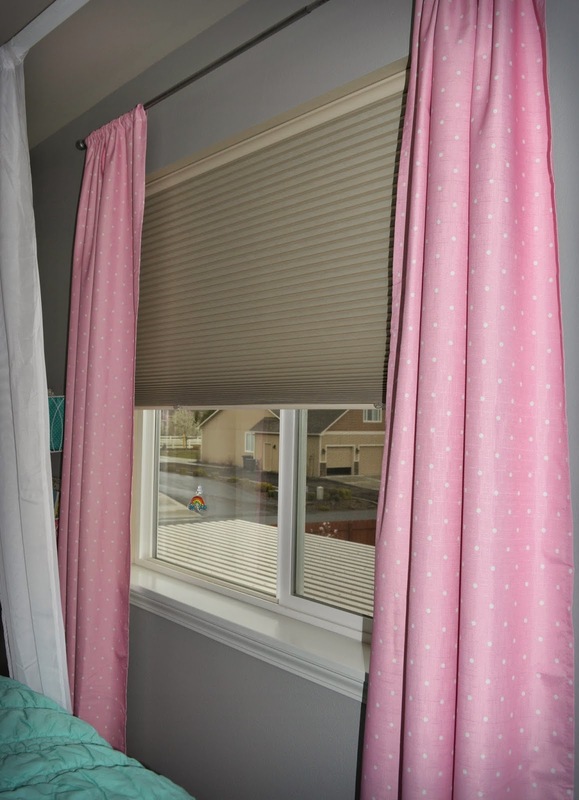 The pink polka-dot curtains were from Walmart. Since I hung the curtain rod five inches above the window, I had to take out the hems to make them floor length. 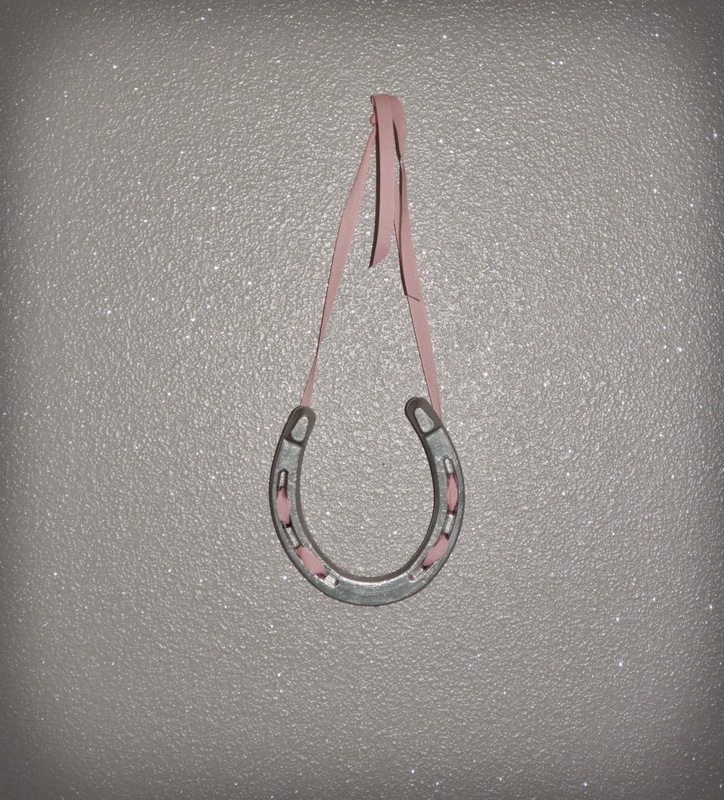 Those horse shoe above my daughter's bed I picked up at Ranch & Home. I was totally shocked to find a huge selection to choose from. I didn't know that horses were so particular about their shoes. I spray painted it and laced it up with some pink ribbon and now it hangs about my daughter's bed. I've decided that the definition of determination is how many times you are willing to use a seam ripper. 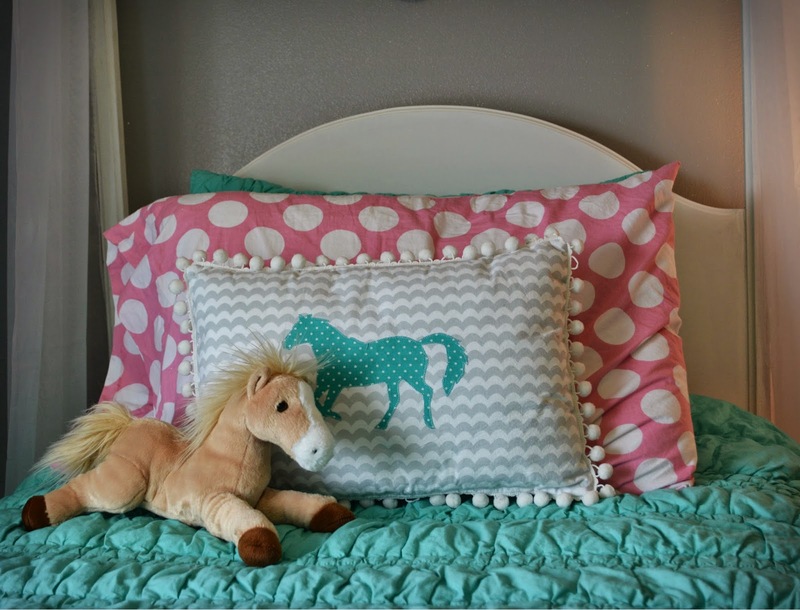 With that said, this horse pillow, though so sweet and the delight of my daughter, was challenging. I found the throw pillow at Goodwill and then pulled off the cover to use as a pattern. I used my Silhouette to cut out the horse image. Then I appliqued the horse into place. The hardest part was getting the zipper in place (which I had never done) and have the cute pom-poms not get in the way. I'm just thankful for You Tube! These matching frames I purchased at Goodwill and then spray painted. The paper I had. I used my Silhouette to cut out the horses. I'm a beginner Silhouette enthusiast so I haven't done many project yet. This was one of my first and it turned out great. I found this side table discounted at Burlington. I spray painted it pink. It's perfect for the space and added a modern vibe. 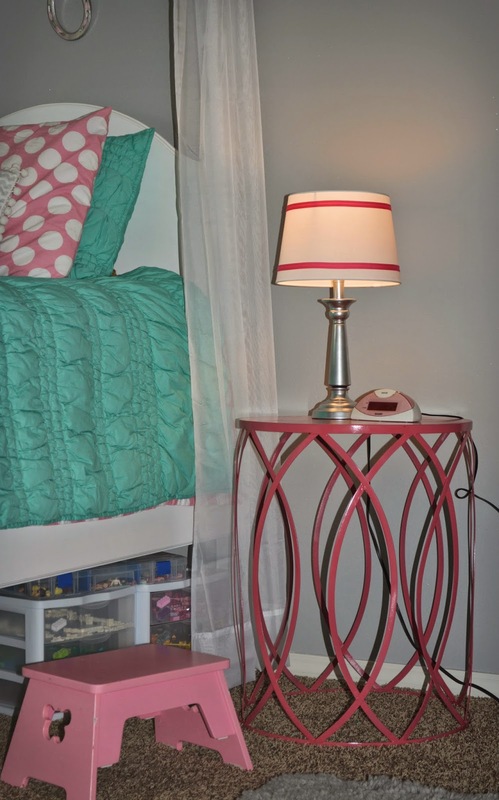 The lamp was a redo from the nursery. I spray painted it silver and picked up a discounted lamp shade from Target. I used hot glue to add a pink ribbon to the top and bottom of the shade. I purchased the frames from Goodwill and had my hubby help me turn them into shadow box shelves. 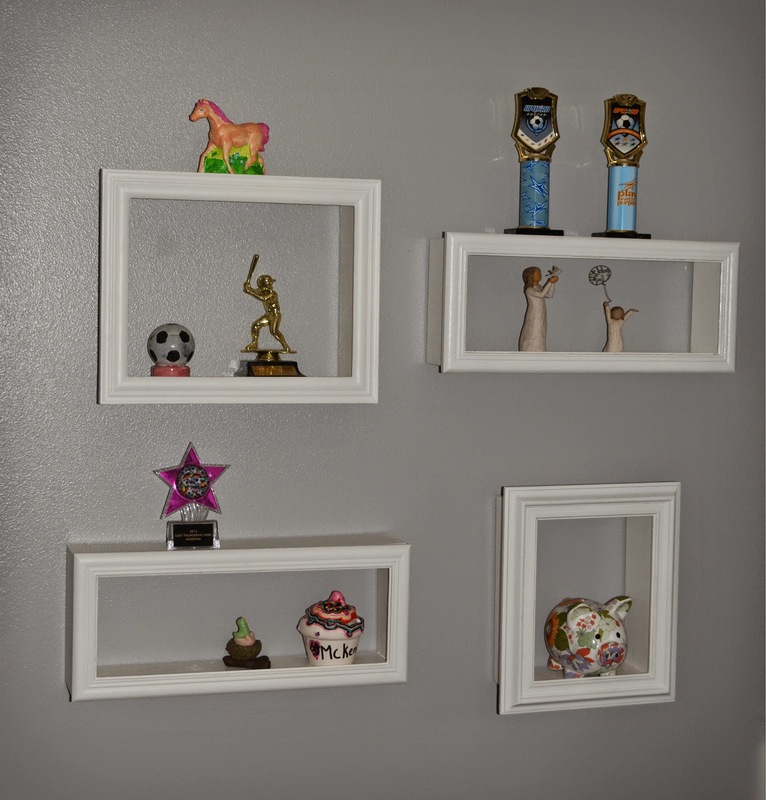 These are the perfect shelves for my daughter's room since she has a bunch of "stuff" that she wants on display. I am so happy with how these wall baskets turned out. These were flower baskets from Home Depot. 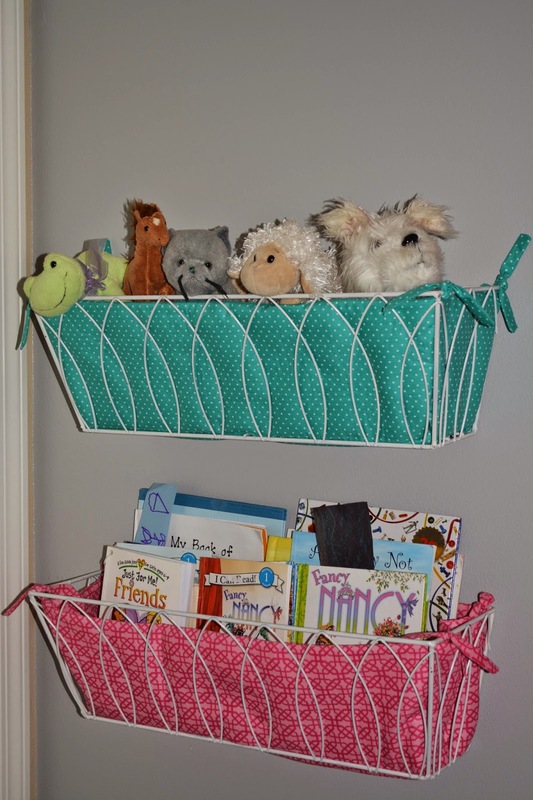 I spray painted them white and then made the fabric liners for each basket. I still have one more addition to this room, a "big girl" desk. But I'm still on the hunt for the perfect desk. So check back for another post. 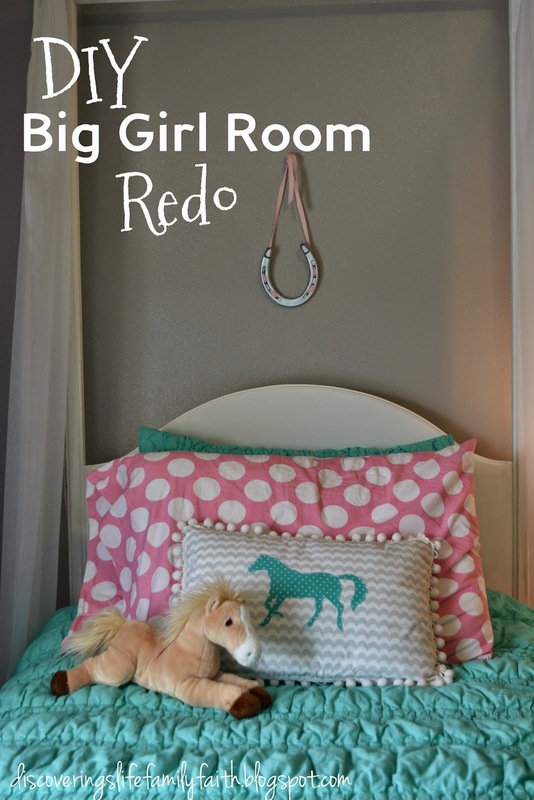 If you've done a "big girl" room redo. I would love to hear about it. Share your link in the comments. Looks amazing Shelly! I can't believe how you can pull that off with everything else you're up to. It's just beautiful. I hope she adores it.